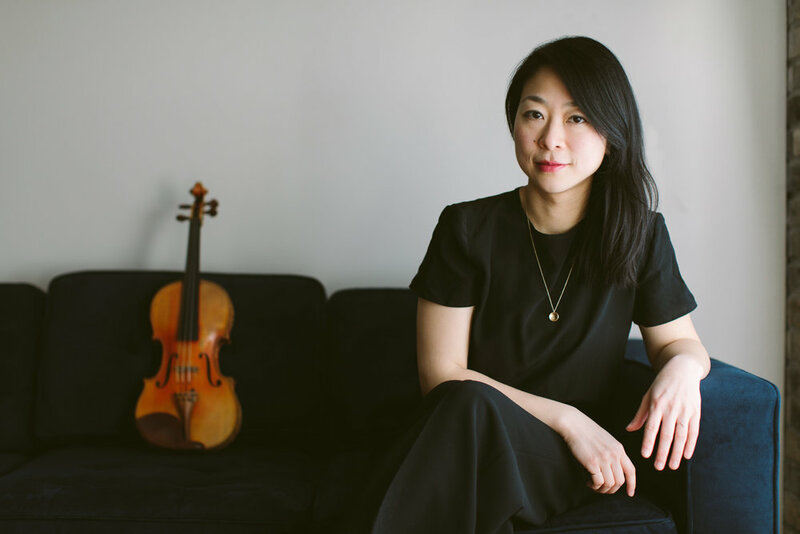 Leslie Ting is a Toronto-based violinist and multi-arts creator. Her live performances as a violinist have been described as creating ”fire without smoke” (Strad Magazine). Formerly a practicing optometrist, the death of her mother, who lost her vision before she died, catalyzed the creation of a theatrical concert called, Speculation. Leslie has appeared with the Canadian Opera Company, Music in the Barns, Pocket Concerts, as well as with singer-songwriter Andy Shauf and as soloist on pop artist Sarah Slean’s most recent album. Leslie has created music for film, most notably her work with Colin Nealis in Elinor Svoboda’s short film, “A Drop Across”. Enjoying a diverse range of collaborators, she has worked with writer and podcaster, Laurie Brown (formerly of CBC’s The Signal), theatre artists Alex Bulmer (Invisible Flash) and Majdi Bou-Matar (MT Space Theatre), and video designer Ben Chaisson (Playground Studios). To further explore her art practice, Leslie attended the Art of Stillness Residency at the Banff Centre for the Arts, the centre’s first major multi-disciplinary residency, where she performed with Richard Reed Parry (Arcade Fire). Leslie is on the board of MusicWorks Magazine and a participant in X-Camera, an experimental interdisciplinary learning arts circle run by Inter-Arts Matrix. Speculation is set to tour across Canada in 2019/20, and she is currently developing a new work with the support of the Canada Council for the Arts about the therapeutic process and how we try to get to know ourselves by going around our conscious minds. Alex is the writer and narrator of the critically acclaimed acoustic installation LIFE UNSEEN. She is a New York Radio Award nominee, Society of Canadian Musicians award recipient, writer of two award winning short films, and writer of the stage play SMUDGE, which earned two Best New Play nominations in Canada, and was Time Out’s Critics Choice during its UK premiere. Alex has written for The Royal Court, London 2012 Olympics, Graeae , BBC radio; winning an AMI award for her adaptation of The Hunchback of Notre Dame, Channel 4 series Cast Offs (nominated for BAFTA and Royal Television SocietyAward), Theatre Centre and Face Front. She is co founder and Artistic Director of Invisible Flash UK , co-creator of The Canadian based Republic of Inclusion and Artistic Director of Cripping The Stage in association with The British Council Toronto. Her teaching interests are in the area of voice, writing and inclusive creative education. Credits include Central School of Speech and DramaUK, Rose Bruford College, Clean Break, London Metropolitain University, Lyric Belfast, The National Theatre School of Canada, the APAE Institute Brazil, SESC Madureira Rio,Extant Theatre, Deafinitely Theatre, and the Banff School of Fine Arts. Alex was awarded the visa status of Highly Skilled Migrant when she moved to the United Kingdom from her home country of Canada in 2003. She is now a citizen of both countries. In 2014 she was named as one of the UK’s most influential disabled artists by Power Magazine. Alex holds a Bachelor of Arts in Humanities from Bishops University, an Advanced Diploma in Voice Studies from The Central School of Speech and Drama, and a Master of Arts with Distinction Screenwriting from the University of the Arts London. Tristan R. Whiston is a multi-disciplinary artist who has worked in Toronto’s arts community for over 25 years as a director, dramaturge, writer, performer, and community artist. His work as an audio artist has gained him international acclaim and attention. He wrote and directed five audio documentaries for CBC; most notably, his work, Middle C, won the 2007 Premios Ondas Award for International Radio and the silver medal at the 2007 New York International Radio Programming. In 2010, Middle C was selected as CBC’s entry for the Global Perspectives Series; as a result, audiences of the British Broadcasting Corporation, Radio Netherlands, Australian Broadcast Corporation, Radio-Television Hong Kong, Radio New Zealand and South Africa FM heard Middle C. Tristan collaborated with Moynan King on an integrated art and sound performance piece called trace, which was co-presented by RDP and FADO in association with New Adventures in Sound Art in August, 2012 and toured Canada in 2015. As a community artist, Tristan was the artist in residence at Central Toronto Youth Services, directing Gender Play (2004-2010) working with LGBTQ youth to explore issues and experiences of gender, and, most recently, Transcend, a group exploring gender through art and activism (2012-2017). Tristan co-founded Del ARTiE Productions with whom he co-wrote and co-directed seven original musical comedies, and he was the founding director of Toronto’s renowned performance troupe The Boychoir of Lesbos from 1996 to 2006, with whom he produced and performed in an original musical adaptation of Lord of the Flies called Squeal. Tristan has a BFA from York University (1991 - specialty in theatre directing). In 2016, Tristan travelled to England where he was dramaturge and performer on Hush, a new musical written by Alex Bulmer that was presented at the London International Festival of Theatre and at the Royal Exchange Theatre in Manchester. Tristan recently completed work as director/dramaturge for Drift Seeds, a site specific performance emerging from a Promise in the Park, a Red Dress Productions 4-year multidisciplinary residency in Toronto. As artistic co-director of Red Dress Productions, Tristan has co-led over 20 large-scale community arts projects. Patrick is a Toronto based production designer and production manager for multiple performing arts disciplines, touring in Canada and internationally. He is the recipient of 2 Dora Awards for both independent lighting design and set design, and he was a nominee for the 2017 Pauline MacGibbon Award in design. His recent and upcoming work includes; The Nether (Coalmine Theatre), Circus Riot (Lookup Theatre) Poison (Coalmine Theatre) Party Game (Bluemouth Inc. / Necessary Angel). Charlotte: A Tri-coloured Play with Music (Theaturtle), Brave New World (Litmus Theatre), The Circle (Tarragon Theatre), Extremophiles (Summerworks), Killer Joe (Coalmine Theatre), Late Company (Why Not Theatre), Crawlspace (Videofag), It Comes in Waves (Necessary Angel/Bluemouth). Amelia Scott is a projection designer, VJ and new media artist. Based out of Montreal, QC, she uses scenic design and interactive performance tools to create interactive installations and public transformed spaces. Thurga will perform an ASL version of the monologue on Friday, November the 30th, 2018 at The Music Gallery at 918 Bathurst St.
Thurga Kanagasekarampillai is Deaf Tamil Canadian Queer and is also a daughter of an immigrant. She graduated with Honours in Acting for Media program at George Brown College. During the first year of Acting for Media program, she worked with Cahoots Theatre for the play called ‘The Enchanted Loom’ as Deaf Interpreter in November 2016 then after completed the first year, she worked with Red Dress Productions as one of these ASL performers for the community play called, ‘Drift Seeds’ and she had a pleasure to work with Tristan R. Whiston during that time. In the same month after the performance with Tristan, she worked with Stew and The Negros to interpret their songs, ‘Notes of A Native Songs’ at Luminato Festival. 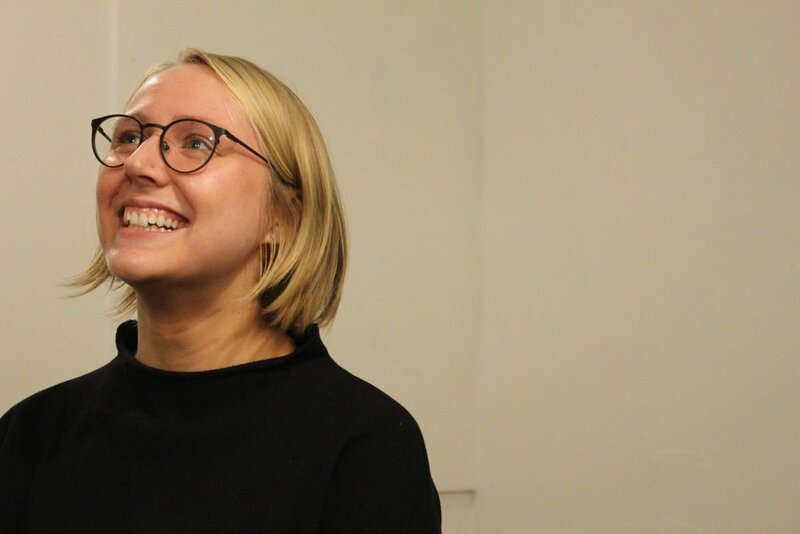 She is working to make a difference for many Deaf youths from over the world to be an artist and remind them to go ahead with their dream by make it more accessible for the Deaf community to succeed in the theatre production and film industry. Gregory will perform in Speculation at the Stratford Summer Music Festival on July 18th, 2019 at Factory163. Gregory Oh tends to wander the genres, appearing in places from the legendary Berlin techno club Berghain to the Lincoln Centre. Recently he conducted Bearing (Signal) and While 100 Guitars Gently Weep (Bradyworks) at the Luminato Festival and the Canadian premiere of Toshio Hosokawa’s The Raven at the University of Toronto New Music Festival, appeared as the piano soloist in Scott Good’s Hands of Orlac with the London Symphonia and Kitchener-Waterloo Symphony. toured Rwanda and the UK with Neema Bickersteth and Century Song (Volcano), and was featured as conductor and pianist at the Shanghai New Music Festival. Other credits: Continuum, Soundstreams, the Toronto Symphony Orchestra, the Canadian Opera Company, the Evergreen Gamelan Club, Native Earth, Canadian Stage, Soulpepper, Tapestry New Opera, Canadian Rep Theatre, Theatre Direct, Arraymusic, and San Diego Opera. He teaches at the University of Toronto and NYO Canada. Alissa, Allison Adema, Susan Adsett, Harvey Basi, Vincent Beland-Bernard, Thibault Bertin-Maghit, William R Bobier, Lara Bonokoski, Majdi Bou-Matar, Sally Brant, Jessie Brooks, Karen Y. Chan, Virginia Chen-Wells, Melina Chow, Brandon Chui, Christopher Crebolder, Darren Creech, Jody Davenport, Nigel DeSouza, Jason Doell, Anne-Marie Donovan, Pierre-André Doucet, Maher El-Dahouk, E Durward, Noah Fields, Judy Gibb, Dina Gilbert, Amy Gottung, Timothy Grier, Dominic Guilbault, Polina Gubnitskaia, Sarah Hagen, Brian Harman, Ann Hart, Mark Hart, Marianne Houle, Louis Johnson IV, Martha Kalyniak, Chaten Khanna, Nelly Kim, Larissa Koniuk, Rosemary Kropf, Tammy Labreche, Alison Laidlaw, Larry Larson, Colin Andrew Lee, Audrey Lee, Peter K. Lee, Tony Lee, Melanie Lemaire, Nicole Look Hong, Frank Lorkovic, Roma Lupenec, Antonia Malchik, Christopher Mayo, Beth McCharles, Randy McIntosh, Sean Mills, Suzanne McKeag, Mikolaj, Pocket Concerts, Rory McLeod, Karen Moffatt, Shari Morandin, Solomiya Moroz, Jean Narveson, Michael Nicin, Daniel Pacheco, Eric Paetkau, Tracy Poizner, Red Coral Inc., David Rose, Sara, Sarah, Marcus Scholtes, Elizabeth Jeanne Schumann, Kevin Shi, Gabriella Solti, Ana Sokolovic, Mandy Spielman, Kat Stankiewicz, Melissa Sung, Mateusz Swoboda, Sunny, Ace Ting, Andy & Angela Ting, Florence Ting, Jessie Tesolin, E Bélanger Tredger, Allison Uttley, David Wadley, Joss Whedon, Christine Yeung, Janet Youngdahl, Michelle Yun and to the clients of the Toronto and Waterloo CNIB for sharing their stories with me.